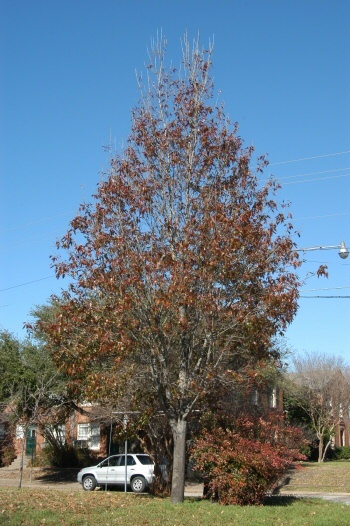 HABIT: Upright red oak-like tree with a very neat appearance. It is mostly evergreen in the San Antonio Botanic Gardens. CULTURE: Easy to grow in most any soil. Should be used much more in Texas. PROBLEMS: None serious. Beautiful tree that should be used much more. 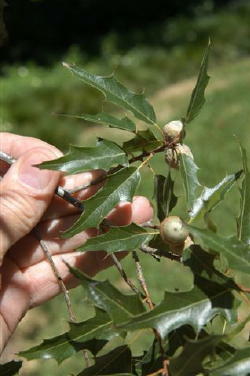 NOTES: Chicos oak is a similar tree. Simpson’s A Field Guide to Texas Trees explains the differences among them best by saying that the Chisos oak grows primarily west of the Pecos, the shumard red oak grows west and north of the Balcones escarpment and the White Rock escarpment just west of Dallas and the canby oak grows east of that line. This information comes from the Dirt Doctor's Book, Texas Gardening - The Natural Way, CLICK to purchase. 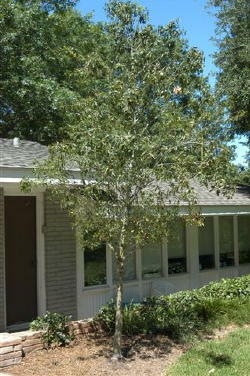 The Dirt Doctor's Canby Oak, planted in September 2004. Photo on the left taken February 1st 2006. 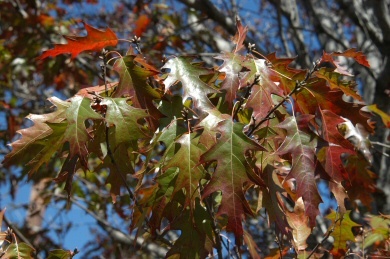 It has been a mild winter but we did get as low as 15 degrees. 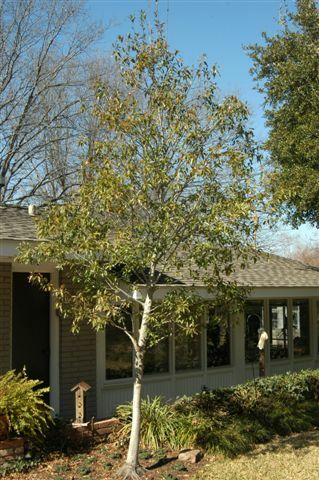 The Canby Oak is a semi-evergreen Red Oak that does well (at least) from San Antonio to Dallas.